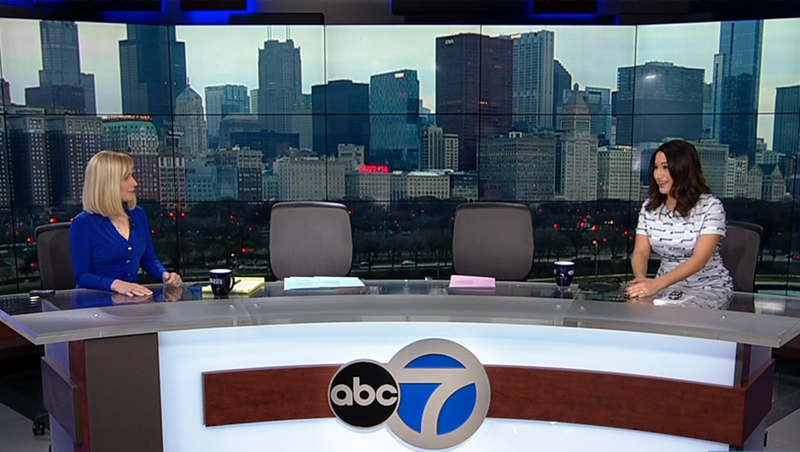 ABC Chicago anchors Terrell Brown and Tanja Babich “disappeared” from the anchor desk this morning — only to be “transported” onto the set via the station’s giant video wall. The anchors, taking advantage of the warm weather, headed outside the O&O’s State Street Studio for portions of the morning news. After wrapping up a traffic update, WLS’s fill-in traffic reporter Diane Pathieu, filling in for Roz Varon, and meteorologist feigned surprise that Brown and Babich’s chairs were empty, while the on-set video wall showed a live feed of the city’s skyline. 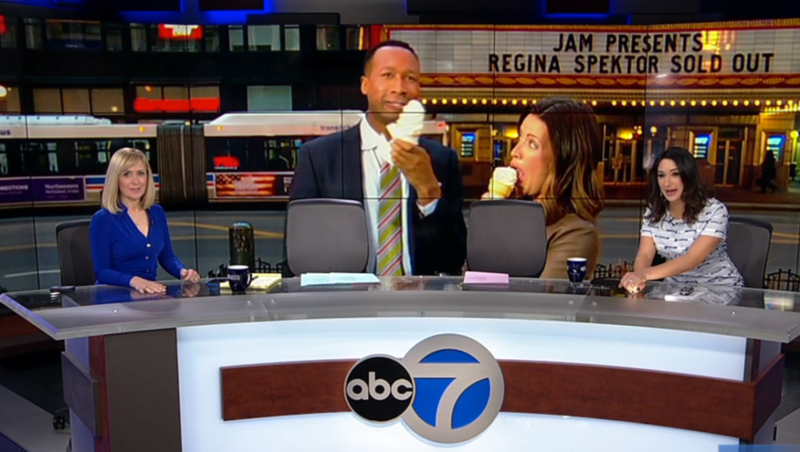 Then, “magically,” the anchors appeared on the video wall, placed roughly behind their respective chairs, enjoying some ice cream cones outside the station’s State Street Studio. 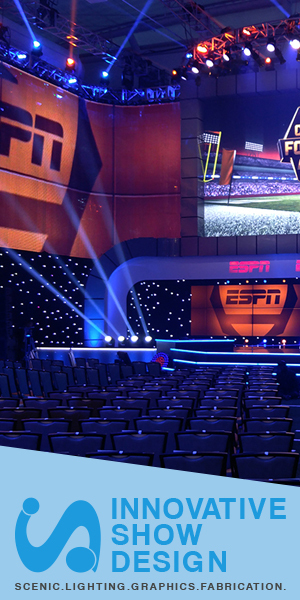 The video wall is the centerpiece of the set the station debuted in October 2015. The video wall was a bit of a sore spot for WLS at first as it endured multiple instances of what became known as the “portal to hell” technical glitch (though it’s actually known as the “Droste effect“). The station also came under fire in February 2016 when it used fake snow on the video wall over a cityscape during winter weather coverage. The station’s morning newscast has been using the video wall to show off real cityscapes — in favor of the stylized still imagery it normally uses — more frequently of late.